The National Ayurvedic Medical Association Certification Board is an Ayurvedic certification organization in The United States of America. 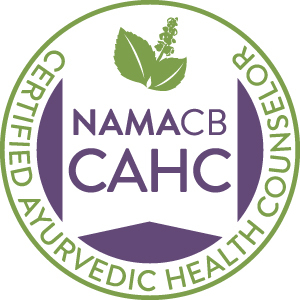 Obtaining a NAMACB certification means that the candidate has demonstrated the entry-level competencies for his/her category of practice by completing a NAMA-approved course of study and passing a rigorous certification exam, and is engaged in ongoing training as a professional through continuing education and other activities. Ayurvedic professional trained to focus on the preventive healthcare as well as heath promotion with a specific focus on diet and lifestyle. 600-1000 hrs. Currently offered. Ayurvedic professional with training in preventive healthcare, nutrition, lifestyle pathology & disease management. 1500-2500 hrs. Currently offered. Coming soon, dates to be determined. Ayurvedic professional who has specialized training in Ayurveda with overview training in conventional medicine to provide a comprehensive Ayurvedic healthcare to their patients. 3000-4500 hrs. Ready to boost your professionalisam? The National Ayurvedic Medical Association is a national organization representing the Ayurvedic profession in the United States of America. Join today! Each Year NAMA hosts a conference for members and non-members. It showcases professional presenters, research, products, schools, and businesses in the field of Ayurveda.